The people have spoken – at Dane Court Grammar School, at least. Students stood as candidates for election in each of the school’s six houses. 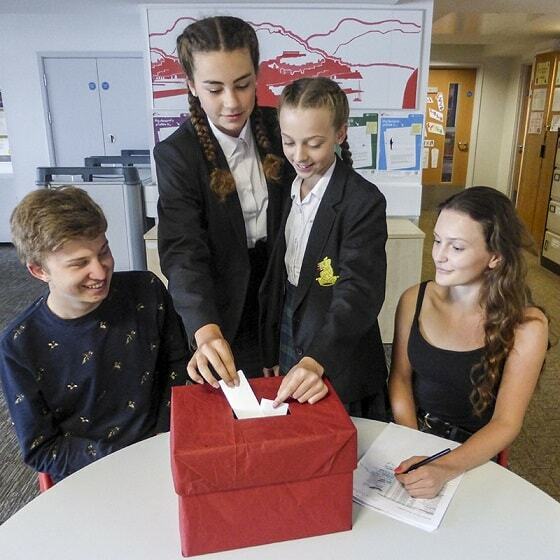 A week of hustings at lunchtime was followed by the vote, which gave a resounding victory for Labour. Four houses returned a Labour candidate, and there were two Greens. Labour claimed 29% of the vote, Greens 27%, Conservatives and Liberal Democrats both 17%, UKIP trailed, with 10%. 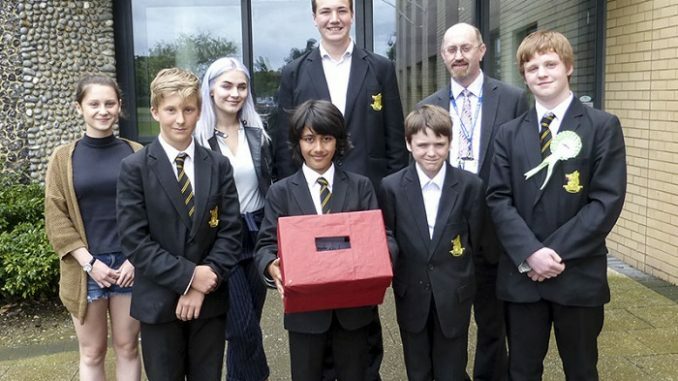 Head teacher Andrew Fowler said: “After the hustings at Dane Court ten days ago, which saw significant support for the Green Party, this school election showed us that the main parties still have much to play for. The political process at the school was coordinated by Tatton Spiller, of Simple Politics, who inspired the students and helped them not only to understand the parties’ policies but also get into the spirit of campaigning. Youngest to stand was 11 year-old Jacob Hyland, who found it “a good experience but nerve-wracking, especially when people asked me questions I wasn’t expecting and I had to answer them.” He was returned for Delphi House, representing Labour.